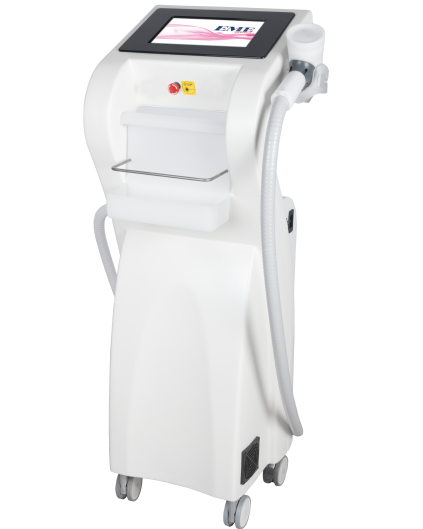 Epil Evo works at a wavelength of 808 nm, allowing the laser beam a great level of penetration in the dermis and the consequent absorption of energy by melanin in the hair bulb. Now more effective with the new ergonomic probe and the new software. 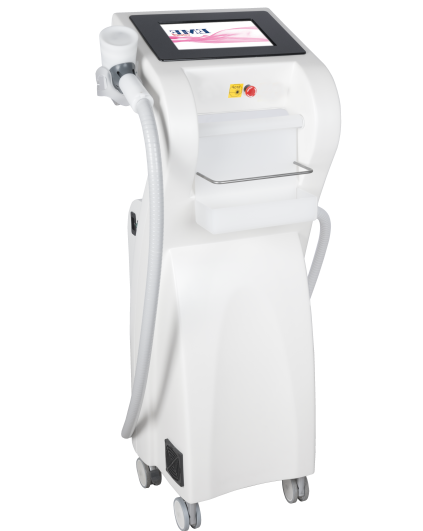 It is possible to work on NORMAL MODE and PROFESSIONAL MODE, having the possibility to adjust the fluence in order to carry out the treatment in a small or big area of the body. The shaft of the hair has thinned. The success of the treatment is related to the life cycle of the hair. The follicle assets of a person has, at a given moment, hairs with different stages of growth. Anagen phase: growth phase of the hair where the melanin is more concentrated. Catagen phase: involution phase, in which the hair is already well-formed leads to the more superficial layers of the epidermis, moving away from the hair papilla. Telogen phase: terminal period during which the hair is still present but the vital activities have completely ceased. The effectiveness of Epil Evo is maximum in anagen phase hairs as the concentration of melanin is maximum. It is estimated that a person in a given moment, has only 30% of the hairs in the anagen phase. For this reason they are required more treatment sessions at different times to ensure that all the hair asset of the area is affected follicle in the anagen phase. The number of treatments that we recommend in order to have permanent results is 6/8 sessions but it is still indicative because it varies from subject to subject.